SURLY BONDS is a military thriller published by SATCOM Publishing. The novel revolves around a struggling young Air Force second lieutenant with a high profile father. All Jason Conrad wants to do is fly jets. But his secret is too big to keep hidden, and his struggles in pilot training soon become overshadowed, by gambling, scandal, and murder. 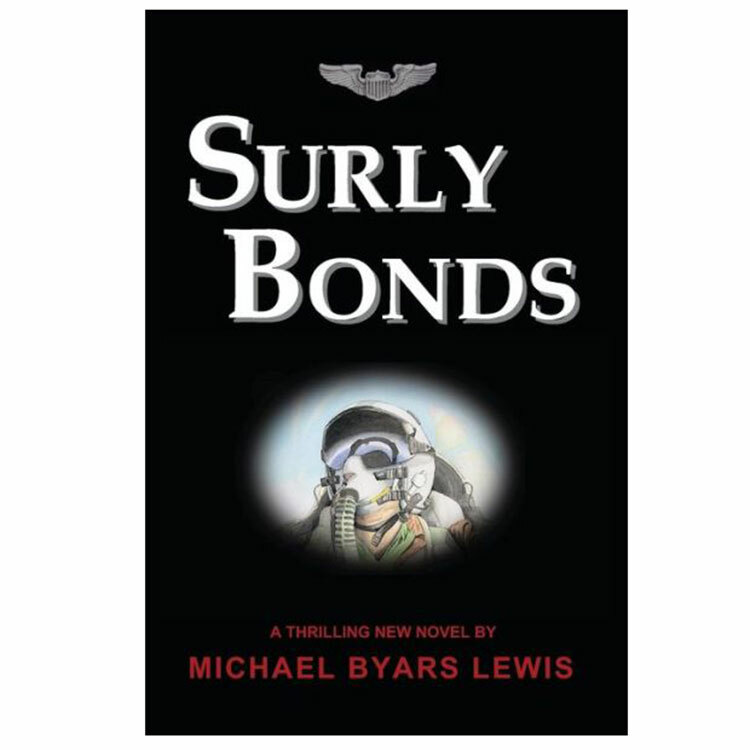 SURLY BONDS finished as a Finalist in the 2013 Next Generation Indie Book Awards and is currently a Finalist in the international contest the 2013 READER’S FAVORITE Book Awards with the rankings to be announced September 1st. Michael Byars Lewis, the author, is an experienced professional pilot with over 5,000 hours in a variety of aircraft. Michael has served over twenty-four years in the U.S. Air Force, both active duty and Air Force Reserve as well as over two years as a commercial airline pilot. He is a member of the Gulf Coast Authors, the Military Writers Society of America, and an Associate member of the International Thrillers Writers.